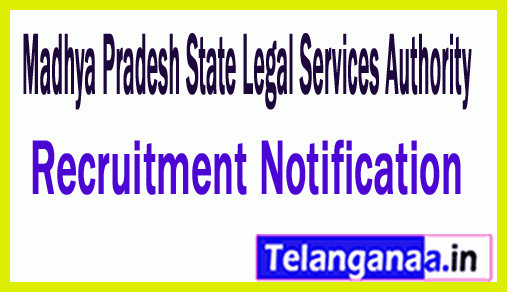 A newest job notification with the name of MPSLSA recruitment has been broadcast by the Madhya Pradesh State Legal Services Authority. Efficient and well-deserved candidate Last date 7 February 2019 Prior to the peon, 131 vacancies of order taker can deposit the application through online mode. Eligibility Criteria: Job seekers should be educated with good academic records as 8th. Candidates who apply for any of the above mentioned posts and candidates belonging to all categories have to pay the application fees. 100 / -. Candidate should be between 18 to 40 years (for men), between 18 to 45 years (for women). Salary and pay band: Peon, selected candidates for order taker will get salary band of salary. 15,500 - 49,000 / -. The job hunters will be selected on the basis of their performance in the screening / interview organized by the selection committee. First, contact the MPSLSA web portal, which is http://www.mpslsa.gov.in. Last date for online registration: 07-02-2019. Click MPSLSA Recruitment Notification here.